This statistic presents the share of organic mobile search engine visits as of the fourth quarter of 2018, sorted by search platform. 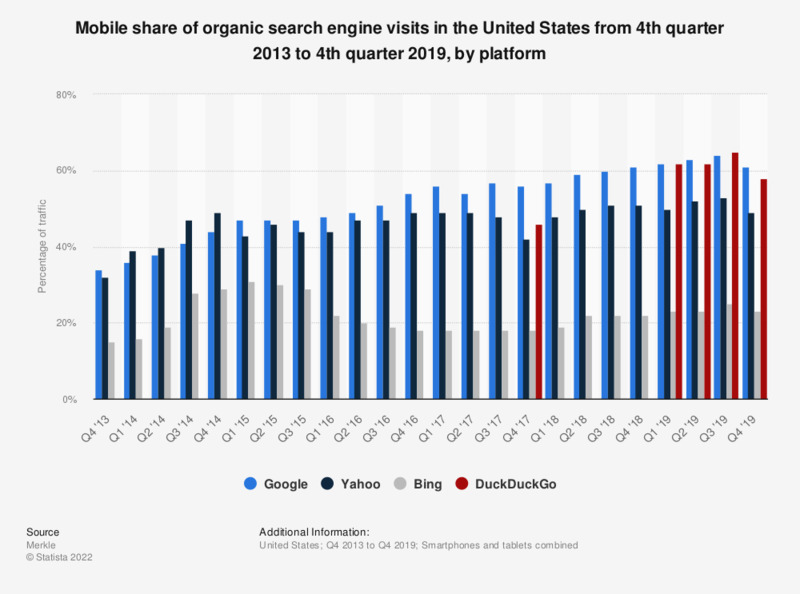 As of the last reported quarter, 51 percent of Yahoo's U.S. organic search traffic originated from mobile devices. Google had the highest share of organic mobile search traffic with 61 percent. No data available for Q4 2015.